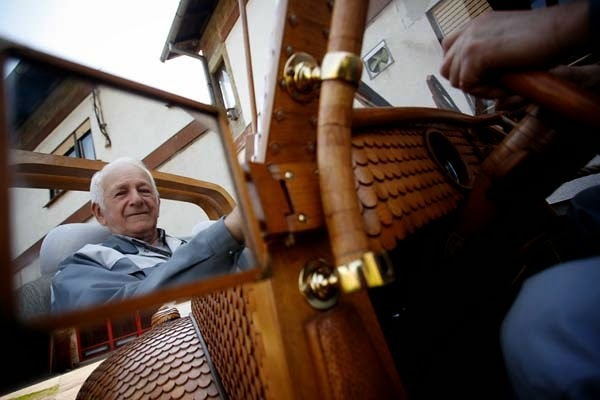 Like most men of a certain age, when 71 year-old Momir Bojic retired, he decided to build his dream car. 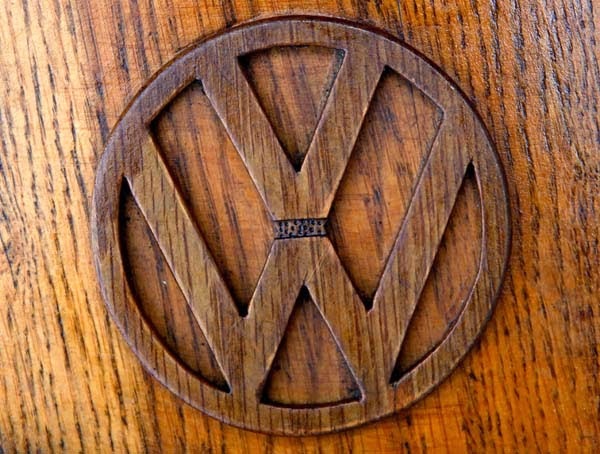 However, unlike most re-builds, his dream car didn’t require spare parts from junk yards. 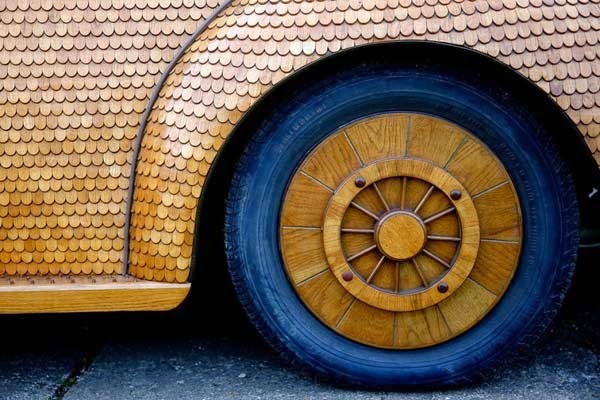 It needed 50,000 individual pieces of oak. 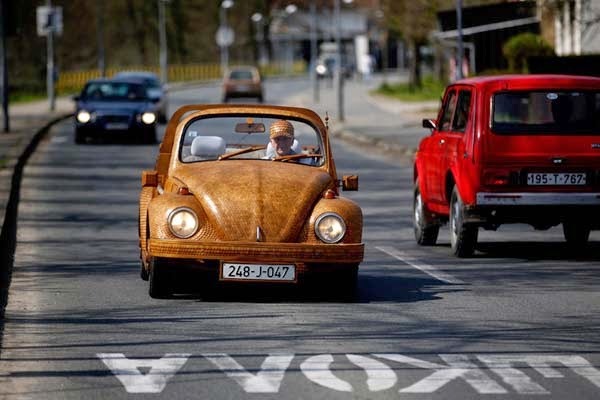 That’s because Momir build his Volkswagen Beetle out of wood. Because… why not? 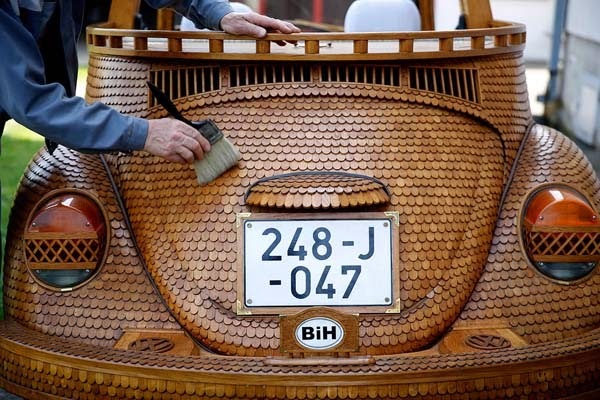 This car made by the Bosnian retiree is wooden. It took him over 2 years to complete. 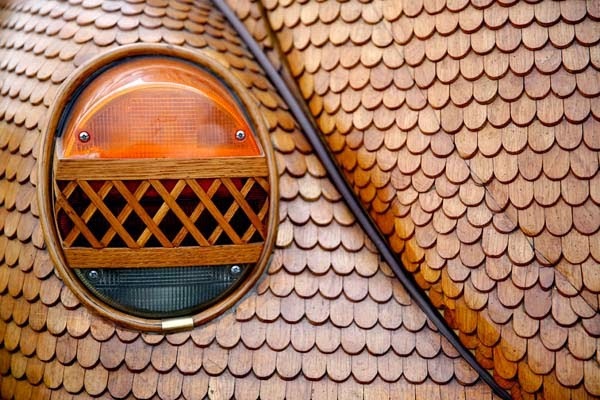 It’s covered in thousands of wooden shingles, each of which took multiple steps to machine. 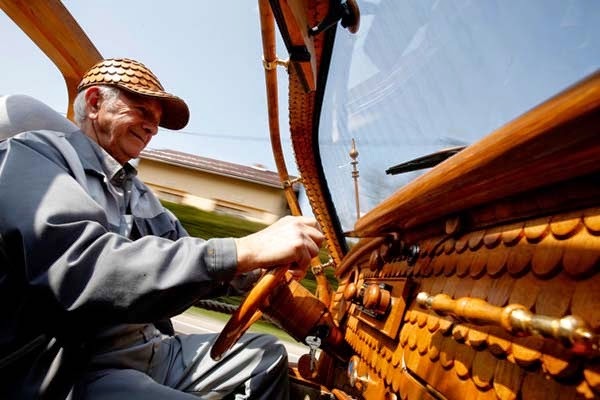 Momir drives his beauty around to different countries, attracting attention wherever he goes. 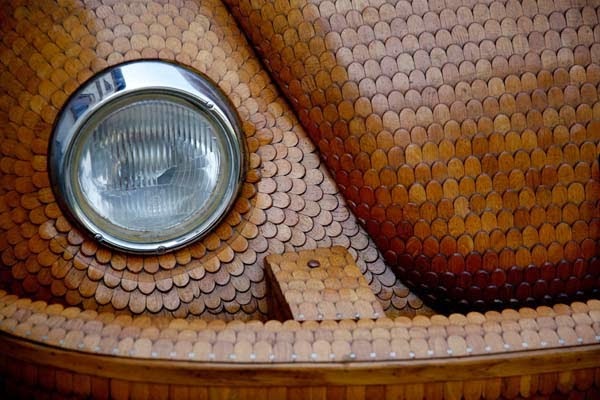 This is a one-of-a-kind creation. 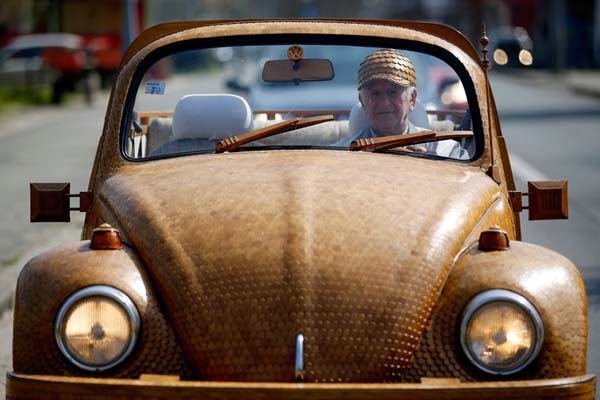 The amazing Beetle has a wooden body, wooden steering wheel, wooden hub caps and even a wooden dashboard. Not only is it fully functional, but he could also use it to start a fire and roast some s’mores. It’s hard to understand the passions of other people, but Momir knew what he wanted and went for it, no matter how long it took. Share the fruits of his labors with others.